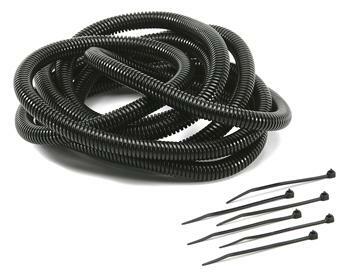 Is it time to straighten up your engine compartment and you don’t know what to do with those loose wires? Hide them inside Mr. Gasket’s black convoluted tubing. This flexible polyethylene tubing has a slit for easy installation that protects electrical wiring from heat and abrasion.